Country casual decor is all about comfort. Think handcrafted furniture, vintage accessories, mix and match fabrics and classic colour palettes to achieve a look that’s casual and cosy. Country decor can get a bad rap for being outdated but that doesn’t have to be the case at all. You can add a modern twist to get a look that is both comfortable and sleek. Don’t be scared to mix up your patterns. Cushions are a great way to do this — go for different shapes and sizes for a casual look. Just stick to different tones of two or three colours to give it a contemporary twist. 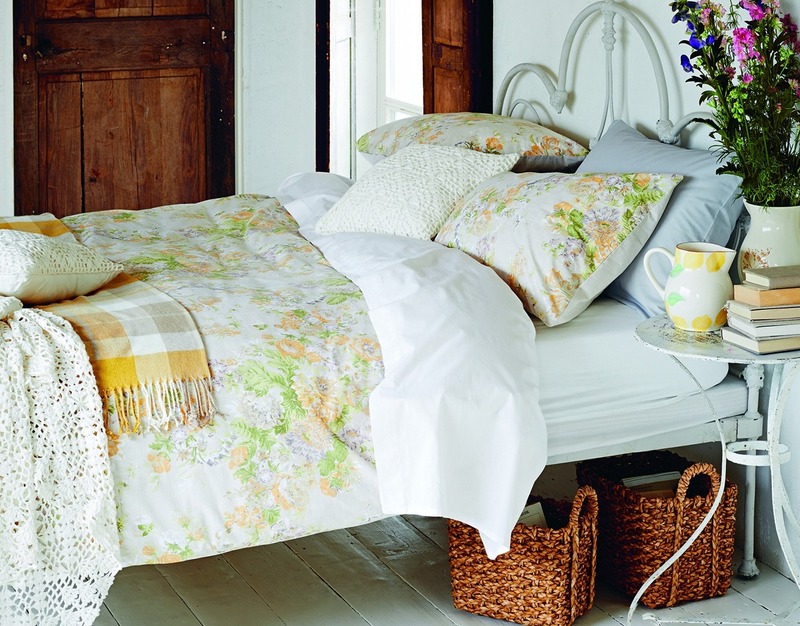 Yellow is hot for spring/summer 2015 and the perfect colour to add to your home for a modern country feel. 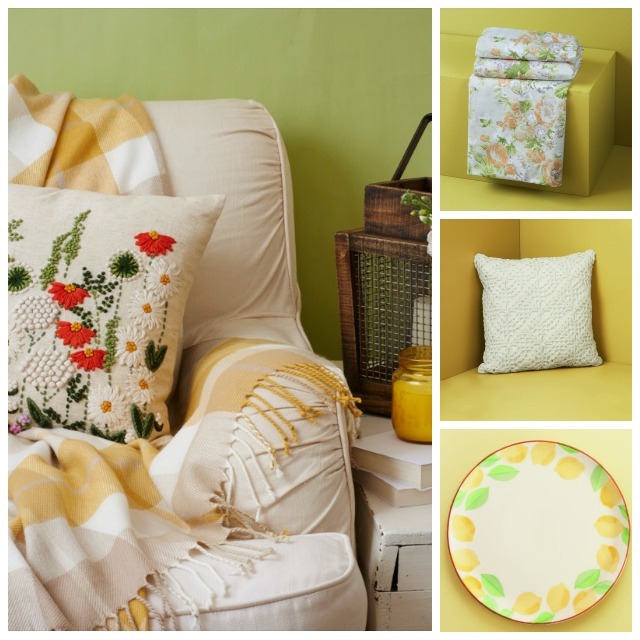 Image: Sainsbury’s; wild flowers embroidered cushion, £15; yellow and grey check throw, £12; crisp bed linen, from £14; white crochet cushion, £12; lemon print platter, £12. More: What are the trendy colour palettes for spring home decor? If you like a minimal look but still want to give your home a cosy, country feel, start with large areas of neutral colour (walls and flooring) and add carefully chosen but eye-catching accessories. For an up-to-date take on the country casual style, mix traditional, delicate floral prints in wooden frames with a retro piece in a brighter colour, such as this standout lamp. Personalise items in your home for a look that’s modern and 100 percent you. Any old piece of furniture can be upcycled to fit in with your overall theme. Give plain dressers and cabinets a distressed finish with chalk paint or decorate shelves and cupboards with patterned paper (découpage). Replace old knobs and handles to match your colour scheme and you have a whole new country style statement piece in your home — without spending a fortune. Remember country decor can mean different things to different people. You might take your inspiration from a friendly farmhouse, a rustic cabin or a quaint cottage. These open shelves with wrought iron fixings give this otherwise modern kitchen a fabulous country edge. This post brought to you by Sainsbury’s.